I'm wondering just how this happened. How did we arrive here at this point. What set of circumstances over what period of time has given rise to what I am looking at. I'm looking at a Goldspot. 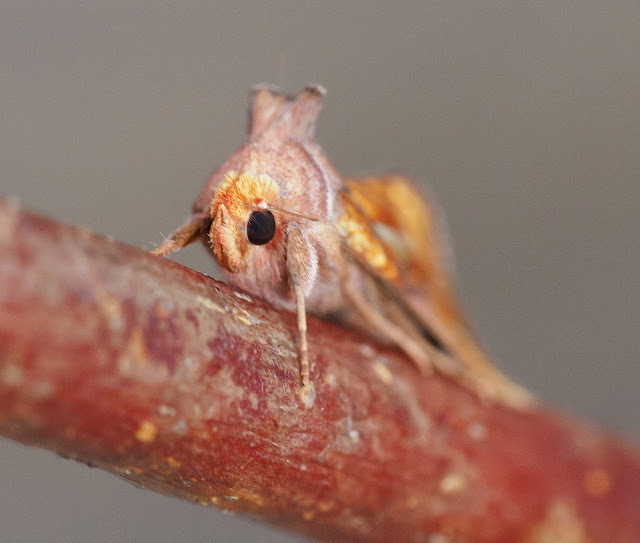 In my very humble opinion it is the greatest moth. This is for 2 reasons. well, just look at it, it's amazing. Colours and textures. 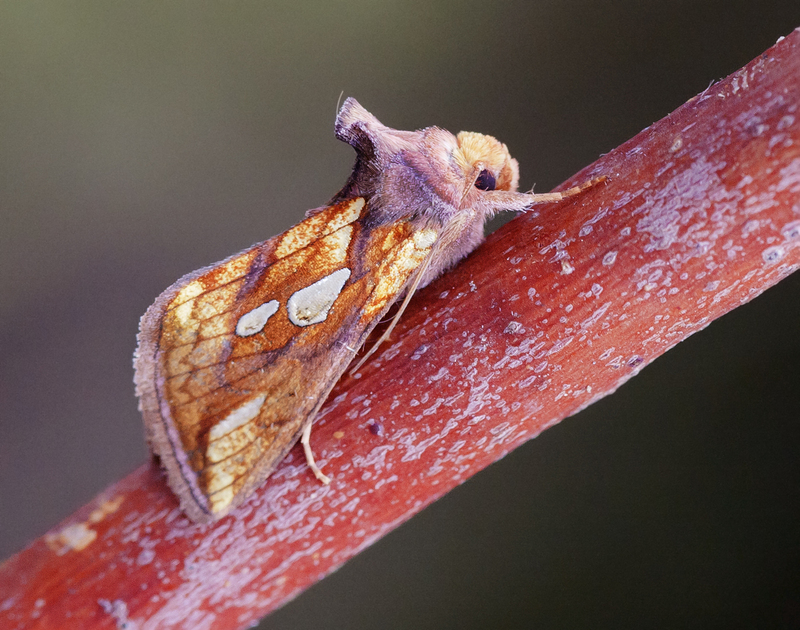 Also because it was the first moth that made me go "wow, moths are bloody cool" when I first lit up a mercury vapour moth trap some 12 years ago. Having studied ecology formally at Uni (and casually ever since) I understand that it evolved by natural selection over millennia because it successfully exploited an ecological niche, but even starting to understand how this moth came to be doesn't detract from the wonder of its appearance. Opening my moth trap early each day is a little bit like Christmas morning. It's tremendously exciting, I have an idea of what I'd like to be in there, I'm pretty certain of a couple of thing that I'll find when I lift the lid and then there is the surprise stuff, the unexpected, the "I wanted that but nerver thought I'd get it" stuff. I love it. Moths are brilliant. I love their eyes, massive compared to the size of their head, they must be much bigger than thier brains. Forward facing twin black holes. They seem to take in all the available light, nothing is reflected from them. I suppose this is reasonable if they go flying about in the dark, but even so, they are seriously impressive optical equipment. 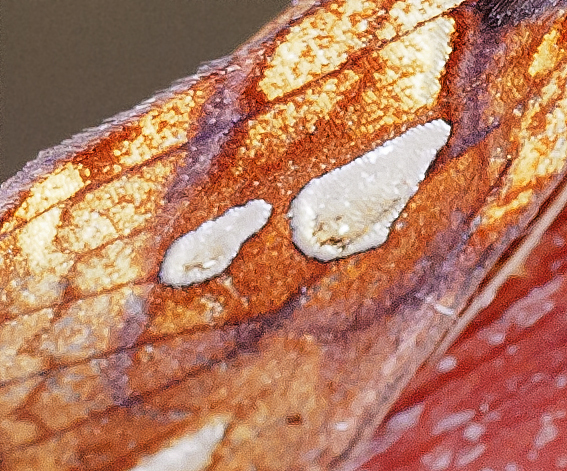 But with the Goldspot it is all about the gold spots on the wing. I could stare at them all day. This is the mind-blowing bit. Just looking at them it is as if they are actually gold. They shine, they appear genuinely metallic. It looks like 2 drips of golden correction fluid have fallen on the wing, they are marked by millionaires Tip-ex.